Alert Krispy Kreme Rewards members! Score a FREE Valentine’s doughnut tomorrow, Wednesday, 1/31! 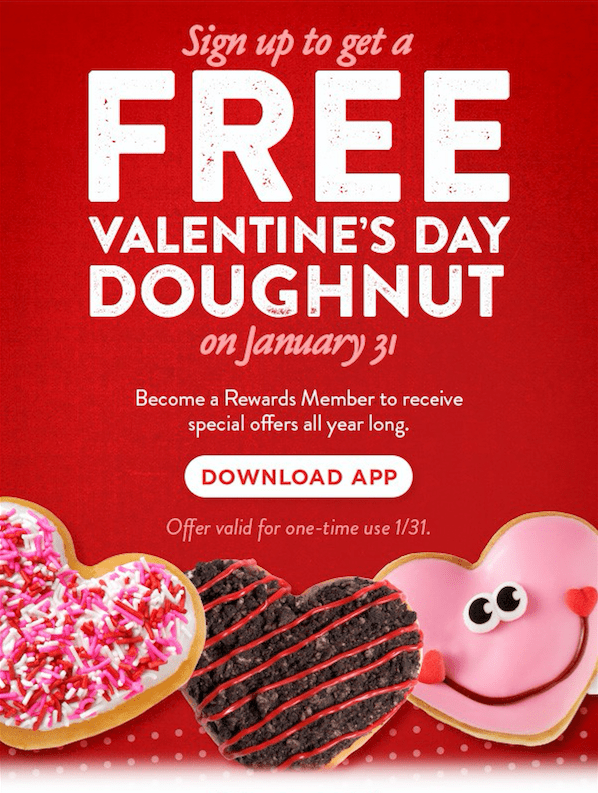 To get this freebie, you have to be a Krispy Kreme Rewards member and show them the barcode on their app on January 31, 2018. There is no purchase required. Valid at participating locations. Limit 1 per member. See the details on their website.